Sometimes, things don’t strike you as unusual until you come to explain them to someone else. I have a young cousin, for example—young enough that she uses #yolo apparently without irony—and I suspect if I tried to explain to her that, for a period in the mid–90, pretty much any unattended Mac would eventually display a handful of winged toasters jerkily making their way across the screen, she would give me One Of Those Looks. Actually, fair enough; it sounds a little surreal. But this was, of course, Flying Toasters, the most famous module in the screensaver app After Dark. In explaining this to my young cousin, I’d probably first have to explain why screensavers were invented in the first place. Sure, today’s computers still have screensavers, but they’re usually merely decorative (one notable exception being the screensaver I use, BOINC), and no longer required to do the job of “saving screens”. Before flat screens became commonplace, we all used CRTs, hulking great plastic cases enclosing a heavy glass vacuum tube. These worked by directing a stream of electrons—deflected with a system of magnets at the back of the tube—at the front of the screen; when the electrons hit a special phosphor coating, it would cause it to emit photons. In other words, to light up. A problem that plagued most CRTs, though, was the potential for “burn-in”—that if the same image stayed on screen for long enough, it would persist dimly even after the image changed. Even, in severe cases, when the monitor was switched off. I’ve seen some ATMs that still use CRTs even today, and which have images—often multiple, overlaid images—burned into their screens. 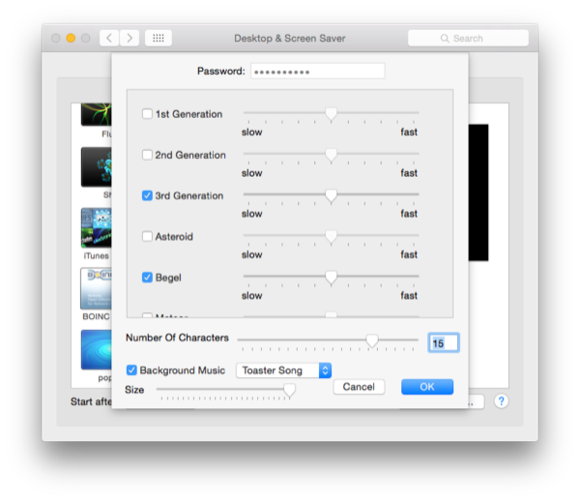 That was the problem a screensaver was designed to prevent; after a period of inactivity, they’d trigger and show ever-shifting designs, and by ensuring your screen didn’t persist in displaying the same image for hours—even just the menu bar at the top of your screen, with “  File Edit ” and so on permanently showing—you could stave off burn-in. LCDs don’t work in the same way, and are so much less likely to suffer from burn-in—though it’s not unheard-of. That, then, is where the general idea of a screensaver came from, but what about those flying toasters? Here’s how one of the original After Dark engineers, Jack Eastman, tells the tale, in an interview on Low End Mac: “My wife’s a doctor—she was doing her residency then and was frequently gone overnight. So I’d sit up late programming. Very late. “One of those late nights I was thinking about the artistry problem—how to do something really fun for 2.0. I was wandering around the house. I drifted into the kitchen, and the toaster caught my eye. My sleep-deprived brain put wings on it. Those hip musicians and their complicated toaster-clocks. 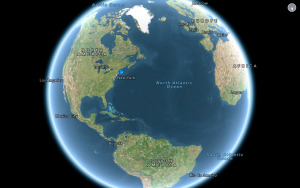 That would appear to be that—a surreal flight of fancy brought on by sleep deprivation. We’ve all done it. 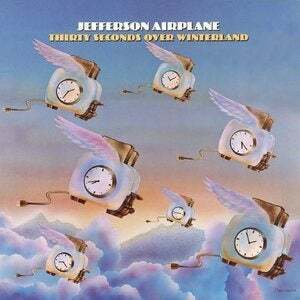 In 1994, though, the band Jefferson Airplane sued After Dark’s company, Berkeley Systems, claiming that the flying toasters were a copy of those featured on the cover of its 1973 album Thirty Seconds Over Winterland. The band lost the case, though, because although there’s no argument the album came out long before the screensaver, Berkeley claimed it wasn’t aware of it—and the judge noted that the band hadn’t trademarked the album artwork. 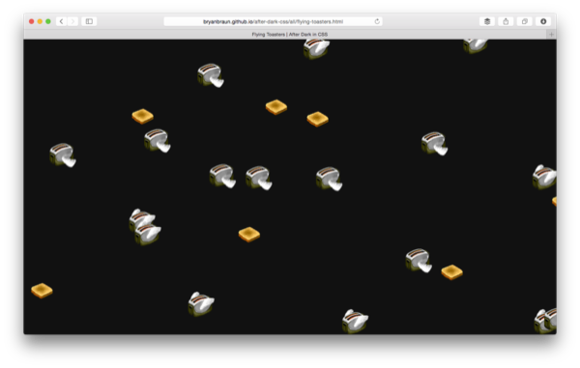 Regardless of the inspiration, there’s no doubt that the Flying Toasters screensaver is iconic, and if you want to run it on your Mac today, it’s actually really easy. If you just want a quick hit of nostalgia, click here for a faithful reconstruction that runs (albeit far too smoothly!) in your browser, complete with Eastman’s toast done-ness slider, or you can marvel at many of the After Dark modules (including Flying Toasters, of course) reconstructed in CSS here. Go on, bring it back. You know you miss those toasters. Hours of enjoyment. Ah, it wasn’t just computers that were simpler back then! What was your favorite screensaver? Let us know in the comments below!